OneDriver MultiD Super compact Multi-channel DAB/DAB+ transmitter (3 channels in 1 RU). Onedriver MultiD shifts paradigm in multichannel DAB/DAB+ transmitters. Up to now, the simultaneous broadcasting of 3 separate DAB ensembles from the same site implied a bulky combination of modulators, power amplifiers, SFN adapters, channel filters and combiners. Onedriver MultiD wipes all that stuff away from your sites, at a fraction of the cost you can expect from traditional equipment. 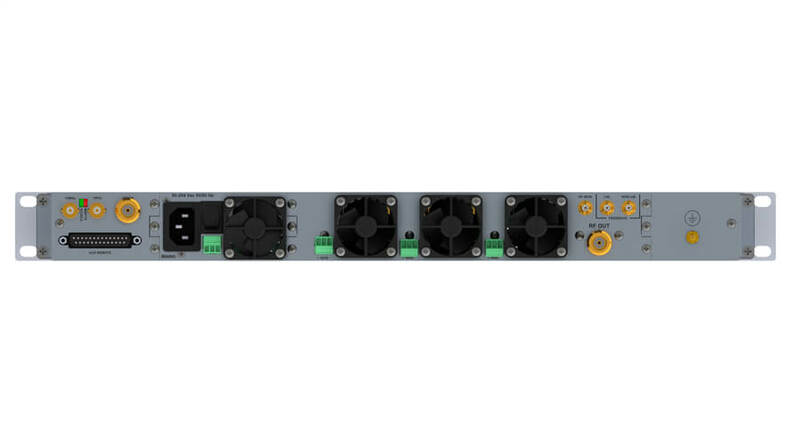 Into a single 1RU chassis, Onedriver MultiD provides you with up to 3 complete DAB/DAB+/T-DMB transmitters with independent input, signal processing engine, DAB modulation stages, and an ultra-linear “common mode” 130W high efficiency Doherty amplifier. 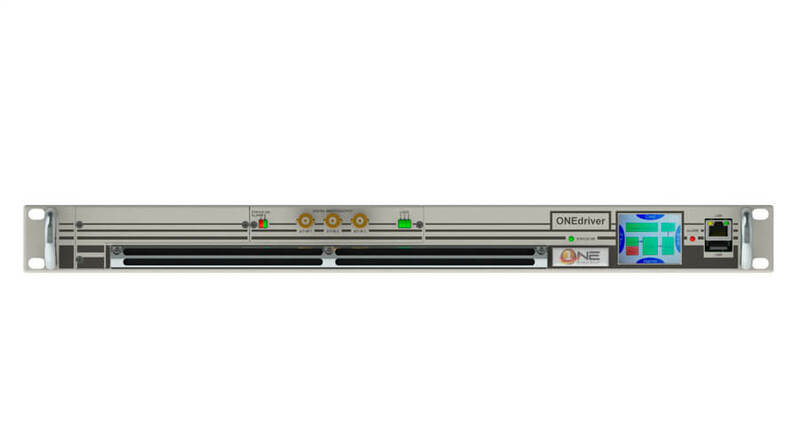 The generated channels are combined at low level, allowing broadcasters to avoid, in case of operation on adjacent channels, external RF combiners: the Onedriver MultiD features just a single RF antenna connector, requiring just a single band-pass filter. 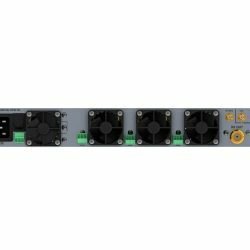 The output power can be individually set per each of the channels in use to fit compliance requirements. Onedriver MultiD also supports individual SFN operation for each DAB/DAB+ emission, and features a built-in GPS receiver. 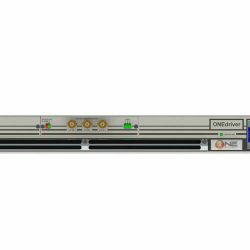 Onedriver MultiD’s modular design allows you to buy and install just the number of transmitters you need: at any later stage you’ll be able to expand its capabilities. 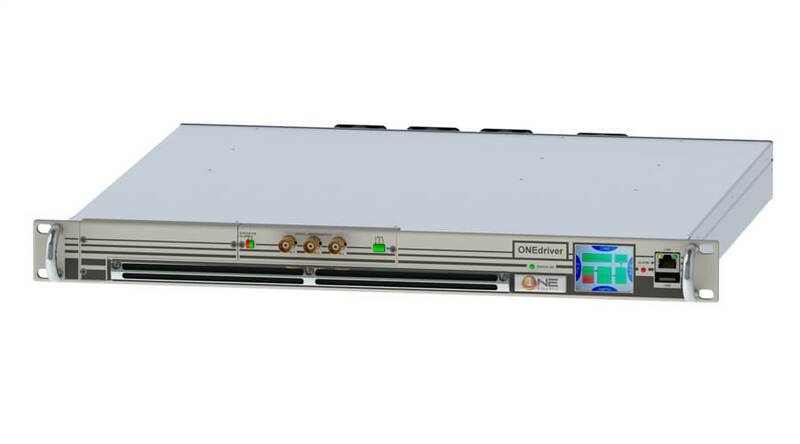 Both the power amplifier module and the power supply unit included into the Onedriver MultiD can be easily and individually replaced while the chassis is on its frame. 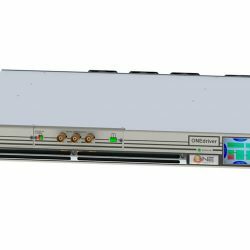 Designed for last-mile applications, Onedriver MultiD saves footprint at transmitter sites and perfectly suits any low power broadcasting application, including road and railway tunnels coverage. only be operated with suitable filters at the RF output.